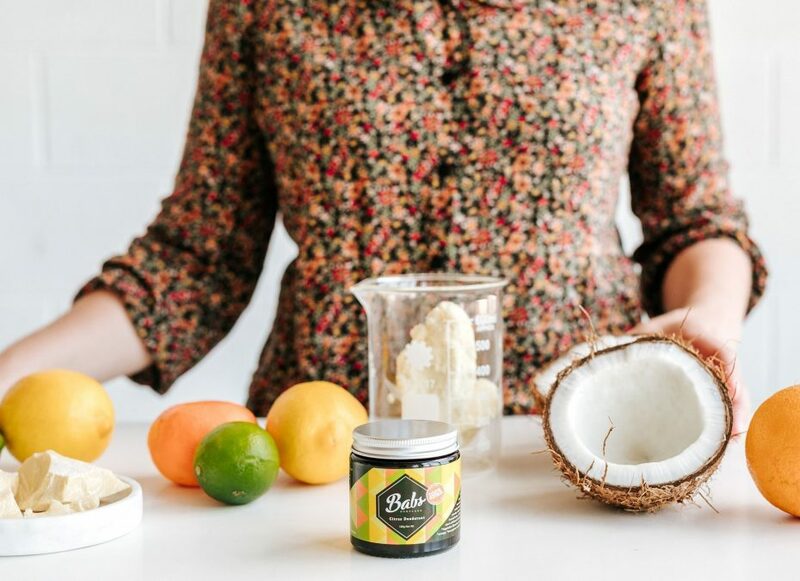 Babs Natural Deodorant Paste works by neutralising the odour causing bacteria that live under your arms while still allowing you to sweat and expel toxins. Using 100% natural and certified organic ingredients to keep you smelling fresh. 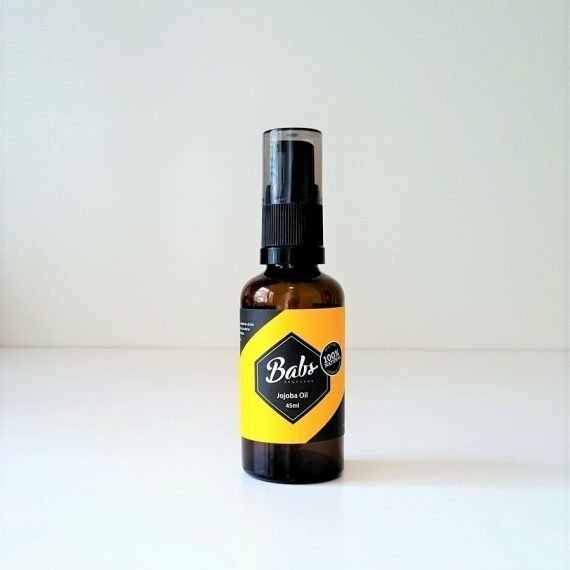 Babs Natural Citrus Deodorant contains Chamomile and Calendula and is a slightly gentler blend than the Tea Tree Deodorant but does contain sodium bicarbonate. If you are looking for a bicarb free version please choose our Geranium & Clary Sage Natural Deodorant. 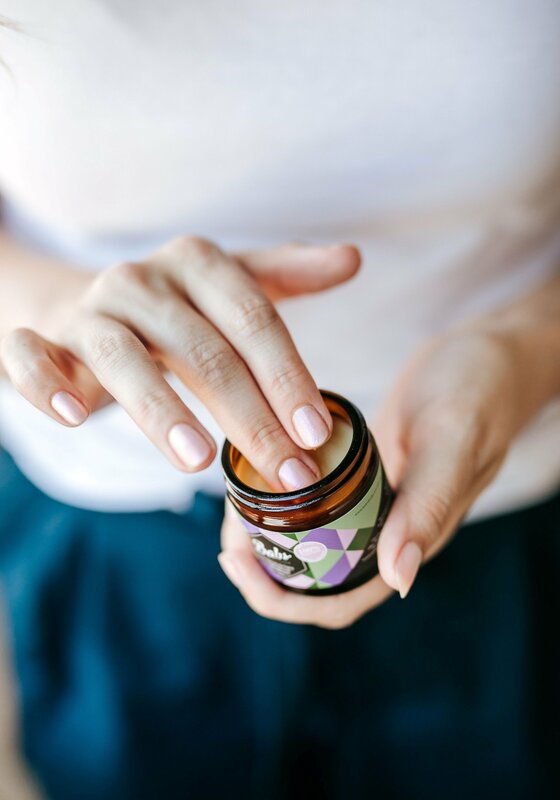 Take a small amount of paste, around the size of a five cent piece, melt on your fingers or apply straight into skin, rub gently under each arm. Note: If transitioning from an antiperspirant please note some people experience a detox period. Your pores may need to unblock and you may find you need to apply a second time during the day. This normally only lasts for a few days. You may also experience redness which is also a sign of your body detoxing. Should you have a reaction that lasts more than a few days we recommend discontinuing use and seeing a healthcare professional. I have tried so many natural deodorants with varying levels of success – but this by far is better than the rest and I’m so happy I found it. Not only does it actually do the job it’s meant to do, but it’s easy to use, the scent isn’t overpowering so that you smell like citrus all day and my skin feels really healthy from it. Have recommended it to a number of people and will continue to do so! I have only just switched to a pure natural deodorant. I have tried a few different types with not very good success. However with Babs Citrus Deo i havent had to reapply, i dont stink half way through the day and even after exercise in still smelling fresh! Im so glad i was recommended this product! Finding a deodorant that smells yummy and doesn’t need reapplication has been a work in progress. I absolutely LOVE Babs citrus deodorant paste. It’s easy to apply and always lasts the distance of the day, ensuring I smell fresh. Another plus- A tub lasts ages! This stuff is fantastic! After doing a pretty big overhaul on my health food wise – the next stop was to avoid supermarket line beauty and household cleaning items. I have sensitive skin and decided to start using natural products. With a lot of trial and error I found Babs. And have not looked back. This deodorant helps you stay smelling great (Yummy Citrus!) and doesn’t leave any yucky residue on your clothes (like other natural deodorants). So thankyou for your products Andrea 🙂 …. oh yeah and I recently bought a few extra for my friends and family – and they all love it too!!! 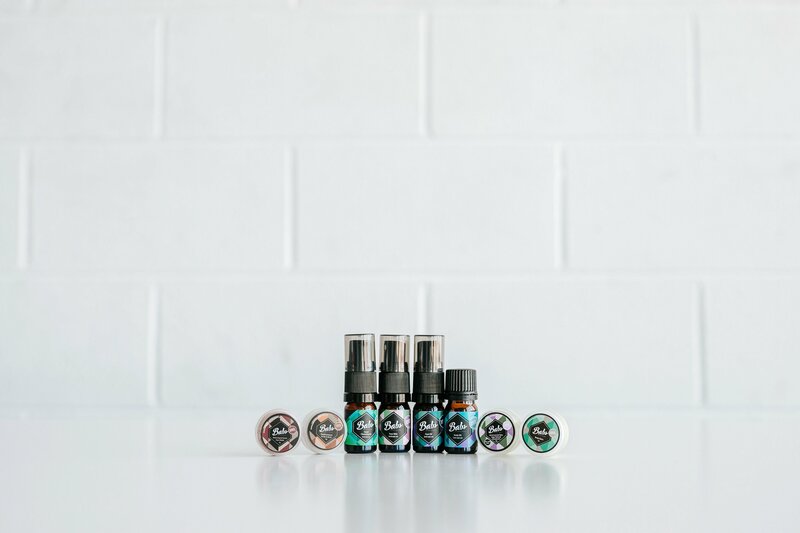 After meeting you guys at the finders keepers market in Melbourne and hearing your great story and passion for your products, we tried out the citrus deodorant and it has been awesome! It’s really easy to apply, smells beautiful and fresh and lasts the entire day. It’s the first natural deodorant my fiancée and I have used and it feels great knowing we’re doing something kind for our skin! Can’t wait to try lots more products! Almost a five star product. The deodorant smells great and is easy to use, and great value. My only niggle with it is that it is slightly gritty when applying on delicate armpit skin. Other than that, it is a top product. Thanks for your review Yen. Try applying to damp armpits. This will help the paste melt and absorb into the skin making it feel less gritty. My husband and i were using Mitchum Sport for years but it was ruining his clothes so we thought we’d try Babs! So far so fabulous! Won’t be going back to Mitchum- sticking with Babs! No need to reapply throughout the day! “I met you at Finders Keepers in Melbourne this year and after working at our stall all day I noticed I needed to find something for my pits…stat! I found your lovely stall and was intrigued by deodorant paste as I had never seen or heard of it before! You explained how to use it and away I went. I found the application easy and hassle free, and after using only a small amount in the morning, by the end of the day there wasn’t no odour whatsoever, I actually couldn’t believe how well it worked. It’s so great! I was so keen to get home to Queensland and let me partner try it – if it was as effective for him as it was for me then it’s legitimately a miracle product. And it did! After working a labour intensive job all day in the Queensland sun, he comes home & no smelly pits! The one day we both forgot to put it on we instantly noticed it (and on each other) and commented we needed this product in our lives for good! I have never used an all natural body product that does exactly what it says it should and for that we thank you! I love this product!! I was really determined to use natural deodorant but the ones I tried just weren’t effective. This one WORKS. And it smells incredible! 100% recommended. Ive always had issues with deodorant..doesnt work, itchy pits, stained clothes UNTIL I switched to BABS…omg this stuff is amazing! like how it is applicated but it does not bother him at all. In fact he says it’s the only product that has worked for him! That’s not bad for a builder! Perhaps he should market it to all his tradies too – hehehe THANKS BABS! Best natural deodorant ever. I’ve tried a few. Keeps me fresh all day! Just adding some more positive feedback to this long list of glowing reviews! I was lucky enough to stumble across a little recommendation for Babs deodorant in a women’s health magazine and thought I’d try my luck because I’ve been trying to get away from chemical sprays for years without much luck. I tried the citrus deodorant during O’Day at Uni where I was running around for pretty much 10 hours straight and came home smelling just as I did when I left the house. It really is as good as everyone says. My only note to anyone who’s thinking of buying is if you’re sensitive to smells during migraines I’d probably recommend the tea tree option as I’ve found that one less intense, but for everyone else go for it as it smells lovely! I love this tub of citrus goodness! It smells amazing and so do I! I was looking for a natural deodorant product when my son was born. With all the skin to skin bonding we do, I became very aware of what was going onto & into my skin and what might be transferring onto his. It’s really easy to use too!! Really love your product, it is by far the most effective aluminium free deodorant I’ve ever used. 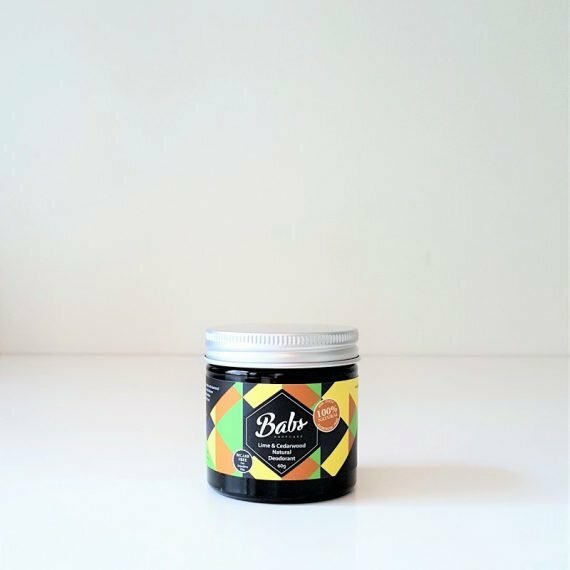 The BABS Bodycare deodorant is a great product. Unwittingly, so many people put on the usual ‘supermarket’ deodorant which is full of chemicals and rubbish – plenty of which is absorbed into the skin. The BABS deodorant is all natural and best of all – it really works! 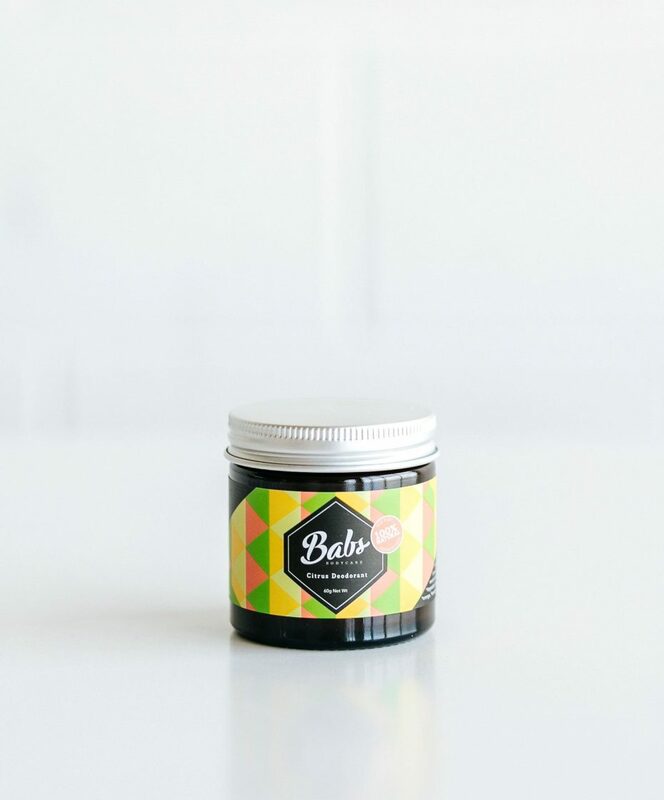 I came across Babs at the Finders Keepers Markets and walked away with a sample of the citrus deodorant. I was hesitant to switch to a natural cream deodorant but after only a few days of use I knew I needed to get my hands on more! It really is the perfect deodorant. I found you at finders keepers market and it was my partner who bought the deodorant paste for himself. I was curious and offered to test it for him. We’ve both been using natural deodorant for a few years now but haven’t found one that truly lasts and in his case, stain his business shirts. I’ve used the paste now for close to 2 months and I’m so impressed. It truly works and leaves me smelling fresh and dry all day long. A good 24 hrs in fact! It’s a a miracle worker!! More recently though I have found strong yellow stains whenever I wear white tops/shirts and I realise it’s somehow caused by the deodorant. Is there a way I can combat this issue? I’d love to be able to continue using it without it staining. Thanks for your feedback. I’m so glad it’s been working to keep you smelling fresh. Unfortunately, staining is something that can happen when using any antiperspirant or deodorant. It most commonly occurs when there is a build up of product or happens from using too much of it. I would recommend using less and making sure it fully absorbs before wearing light coloured clothing. 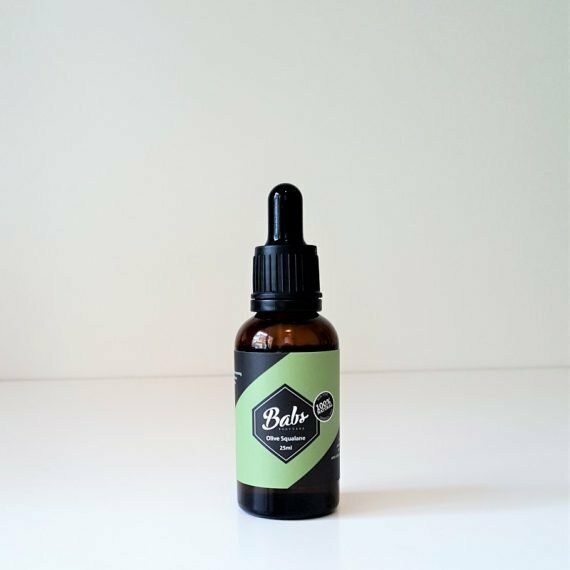 Our Citrus Deodorant does contain a few more oils, both Chamomile and Calendula, however Babs Tea Tree Deodorant does not – so you could switch and try the Tea Tree one. Here are a few more tips that will help the health of your pits and may help reduce the marks. Gently exfoliating your pits once or twice a week. For your tops – try washing them in some warm water and vinegar before they washing them as normal. You can create a paste of bicarb and water and apply to the arm pit area to help remove the stain. 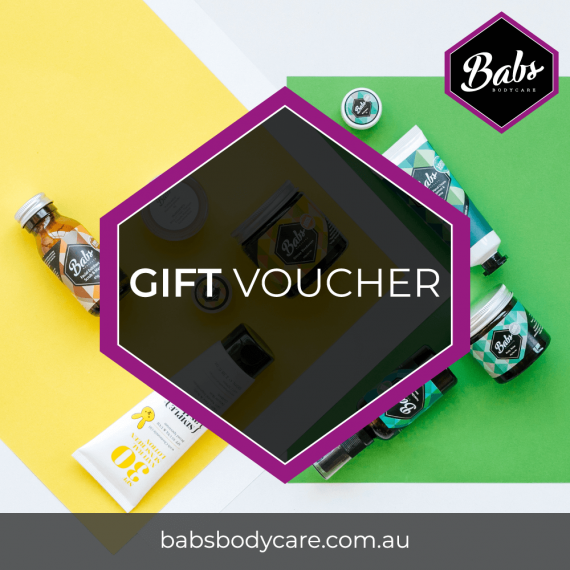 I hope these tips help and please feel free to email me info@babsbodycare.com.au if you have any other questions. Best I’ve ever used. Aluminium-free and great value for money. Devoted follower, love it. For years I tried so many natural brands and nothing worked, till I bought this citrus deodorant. I absolutely love it, it lasts ages, smells wonderful, and leaves my arm pits feeling great. I have recommended to all my family and friends 🙂 !! My mum and I have been using the citrus deodorant which we got from the Finders Keepers market and we won’t be looking back. I cannot recommend it highly enough to people. Best deodorant ever! It smells great and unlike most aluminium free deodorants, it actually works. Love it. I discovered Babs Citrus deodrant after getting a sample to try out from you at The Finder’s Keepers market. I’ve always been wanting to switch from supermarket chemical deodrant to natural and chemical-free deodrant. I was super impressed with this product! I found it smelled great and after 2 days of my body adjusting from using antiperspirant I found I was smelling great! It also helps keep my underarm skin soft and itch-free. I’ve since bought a large size of it. Now to get my partner to use it! My sister in law introduced me to your product. I have used natural deodorant for many years now.. but this beats the pants off what I was using! I sweat alot due to a medical condition and even though this is not an antiperspirant, I feel I sweat less.. I didn’t know how much to use for the first week and I was using a 20 cent piece amount under each arm! I got the most awful skin reaction on my hands and where ever it touched. I am sure I was using too much! still not 100% sure if this website means 5cent amount per armpit or across both? Hi Rachael, Thanks for your feedback. While everybody is different and once you start using the product your body should adjust and let you know how much to use but we recommend a 5 cent piece amount will be enough to do both arm pits. Babs deodorant is amazing! I have used both the tea tree and citrus and can’t decide which I like best. It feels lovely on my skin and i never notice any sweating when I have it on. Better than the stuff you get from the supermarket! Loving the citrus deodorant, it’s been a life saver for me and my clothes. I don’t get that left over smell stuck to my clothes anymore which is awesome. I’ve tried many different ‘natural’ based deodorants. This by far has the best efficacy and is kind on my sensitive skin. already have. My daughter recommended it to me and I am grateful. Such a great product. It’s the first non-toxic deodorant I’ve found that works well, smells amazing and isn’t sticky!! Love it! Been using it for a while now and it’s the most effective and long lasting deodorant I have used…plus its good for you! For years I’d struggled with heavy supermarket deodorants, but lived with the sensitivity they caused as the natural products i’d tried didn’t have anywhere near the same effectiveness to sweat and smell. 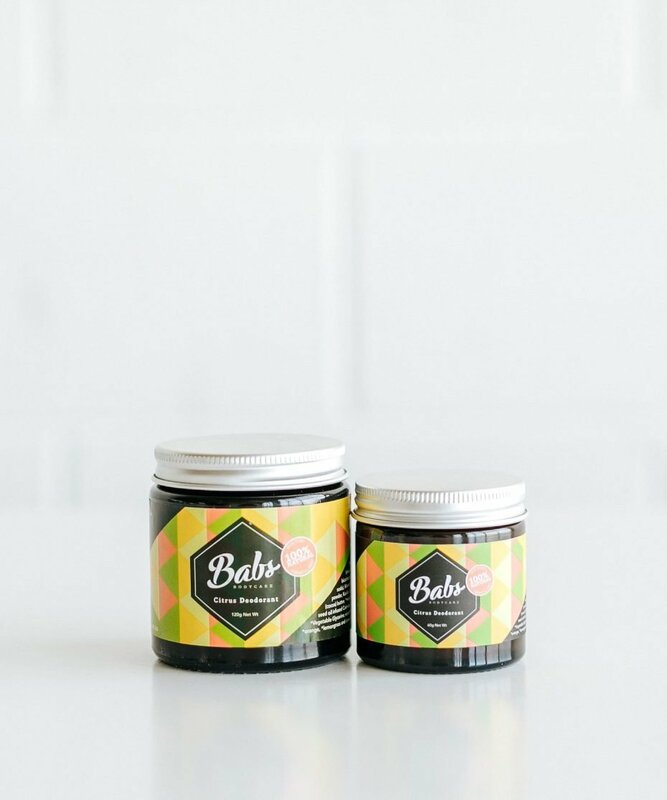 The Bab’s Natural Paste in Citrus leaves me pain free and smelling fresh all day. Kicking myself for not trying earlier! 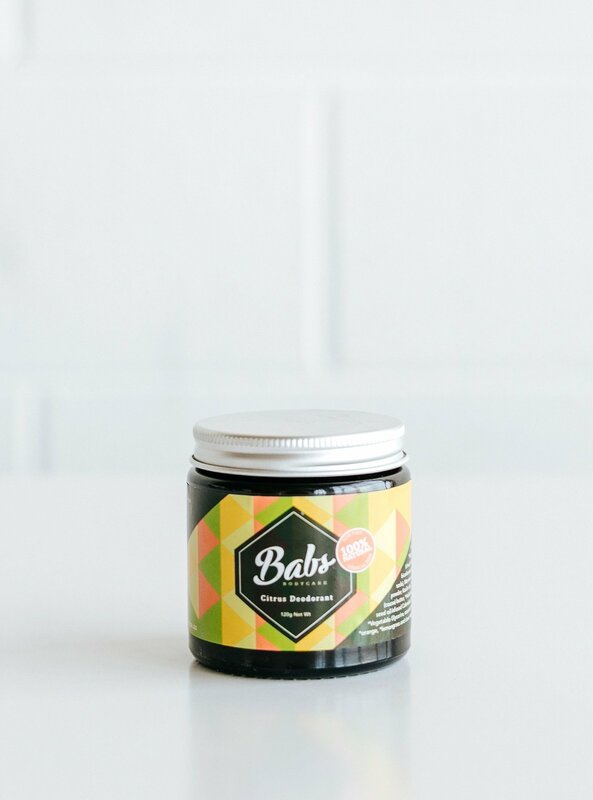 I love all the products I received and have completely converted to your natural deodorant – I previously was not a fan of paste/roll on type deodorants but since using babs, not once have I found myself to have any sort of odor throughout the day and even after a heavy gym sesh! This deodorant is great! It is the first time I have tried a natural deodorant and it is the only deodorant I have used that I only have to apply once a day. Thank you.